Achieving your dream smile is possible with dental veneers. By covering undesirable imperfections such as chips, discoloration, and gaps, veneers are a cosmetic dental treatment that creates uniform, beautiful smiles. 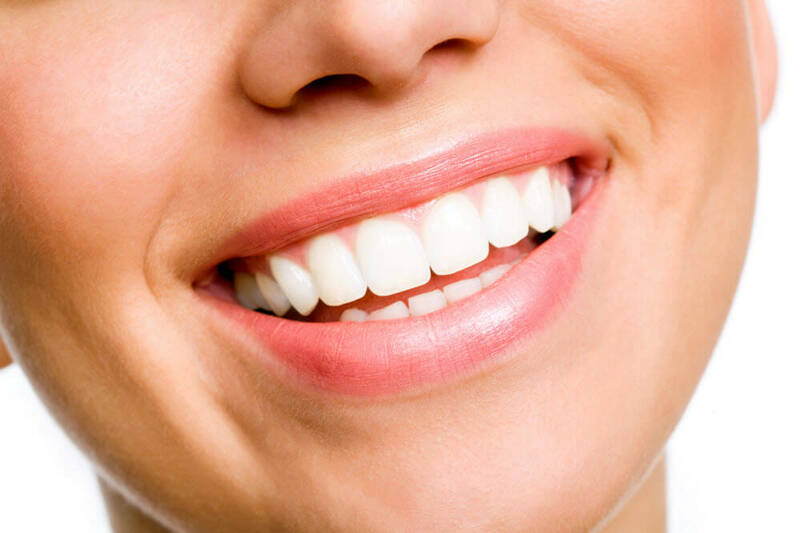 At Happy Dental in Montclair, Dr. Allan Hong and his friendly dental staff provide composite resin veneers for patients looking for aesthetic enhancement of their smiles. What Are Composite Resin Veneers? Made of thin layers of tooth-colored material, these veneers completely cover the front of an affected tooth. We provide direct composite resin materials for a personalized treatment. These veneers are applied in thin layers of white dental resin and are sculpted at the time of placement. Dr. Hong utilizes a high level of skill and artistry to shape and contour veneers to mimic the look and sheen of your natural tooth. Your veneers will also be color-matched to the shade chosen for an ideal aesthetic. Veneers are lasting restorations that enhance the overall appearance of your smile. As they are created to your specifications, veneers achieve your specific goals while mimicking the luminescence of real teeth. No metal is involved in the creation of these veneers, making this treatment perfect for individuals who have metal allergies or sensitivities. Unlike porcelain veneers, direct composite veneers require minimal preparation of the tooth structure and can be a more affordable cosmetic procedure. If you are ready to schedule your consultation, contact us today. Our Montclair cosmetic dentist makes sure patients understand the process involved in receiving direct composite veneers, as well as information on how long they last and cost before placement. Dr. Hong conducts an in-depth examination of your smile and discusses your specific aesthetic concerns and goals for your smile. He always takes the time to understand your needs, and answer any questions you may have about his recommendations for your overall treatment plan. During your consultation, Dr. Hong will work with you to pick the specific shade for your finished restorations. We recommend that patients who want a whiter overall smile undergo whitening for their surrounding natural teeth prior to application of resin veneers to achieve optimal shade matching. This will ensure your whole smile meets your aesthetic expectations. Direct composite resin veneers typically last three to five years and should not hinder you from routine at-home oral care. We are passionate about providing cosmetic dental solutions that enhance worn- down, discolored, or chipped teeth. For more information about our direct composite resin veneers, contact Happy Dental in Montclair to schedule a consultation today!